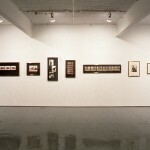 Mercer Union is pleased to present the work of Brantford artist Shelley Niro in her first solo exhibition in Toronto. Mohawks in Beehives are outrageously flirtatious with the camera. They are in a world quite foreign to that in which they live. Their make-up, beehive hairdo’s and dangly glittery jewellery lets them lose their sense of self and the roles they have been practicing all their lives. Outrageous behaviour for women who live on reserves, who fret for their children’s ability to learn a language they themselves do not speak, aware of lost rituals and ceremonies which leaves them willing to grasp at new notions (said to be old) and also to realize that their culture is at a turning point. Shelley Niro lives and works in Brampton. She attended Durham College, Oshawa and the Banff School of Fine Arts and has exhibited extensively throughout Ontario. Exhibitions include You Asked For It, Nirouois Gallery, Brantford; Telling Pictures, Kingston Artist Inc., Kingston and 0.C.A Anishnawec ’90, Ontario College of Art. 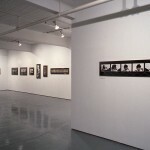 Within the context of Rethinking History(1) and as an independent project, Shelley Niro’s current exhibition of photographs and photo based works continues to question the validity of Western hegemony, considers a specific First Nations’ history, and indicates the biases inherent in the construction of a history. The works in this exhibition confront issues of stereotyping and the erasure of culture. 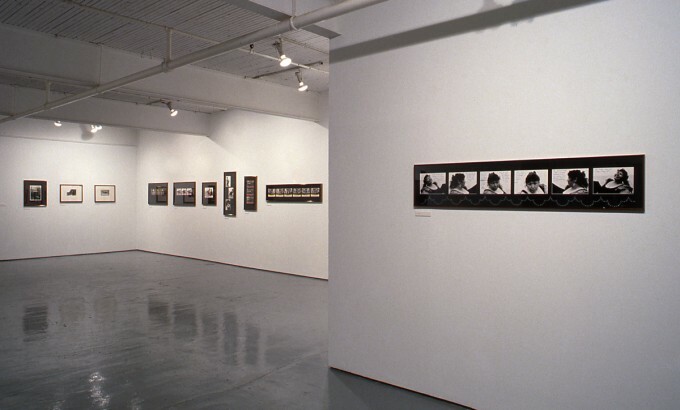 Through the presentation of privately and communally determined images of the Self, Niro reminds the viewer that the process of documentation or history making is comprised of a variety of remembered events recorded as both visual and literary representations. The present moment provides the opportunity for correction, and this act of correction or rewriting exerts an influence on how information from the past, present, and future is/will be perceived and understood. The fourteen photographs which make up Mohawks in Beehives, question the validity of the visual and written images created by Euro Canadians of the people of the First Nations. They are about revealing the fallacy of the ‘white man’s Indian,’ and ultimately, about taking control. 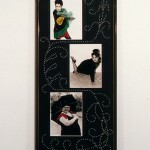 If Mohawks in Beehives challenges existing stereotypes and indeed the notion of a stereotype, then the four photo-collage Portraits, present Niro’s reality. Comprised of images from the artist’s search for strength and optimism, Portraits revel in notions of solidarity and Nation building. In Her Lifetime, an inquisitive narrative about the repetitive, recurring movement between tradition and mainstream ‘culture’, provides the revealing conclusion that choice is not an option. With this body of work, Niro challenges the dominant view of her culture, effectively replacing myth with reality. 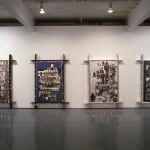 In the following excerpts from an interview with Carol Podedworny, Shelley Niro discusses works in the exhibition. Carol Podedworny: When did you begin work on the Mohawks in Beehives series? 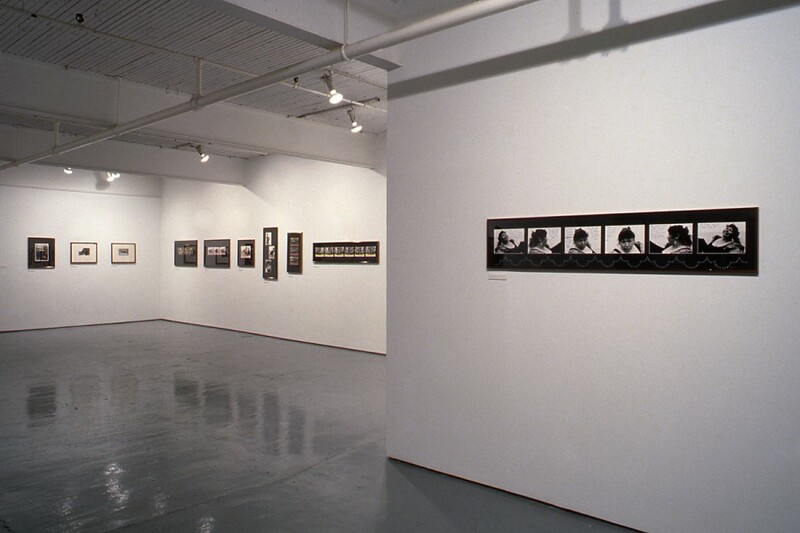 Shelley Niro:I took the photographs the end of March 1991. It was after Oka and the invasion of Kuwait, and all those terrible, depressing things happening in the world. I find when I get depressed, I work the best because I’m trying to fight off the depression or be sucked more and more into it. So I talked to my three sisters and I said let’s get rid of our kids and just have a fun day of it–let’s put on make-up and do up our hair, let’s go downtown [Brantford] and have lunch and be really loud and obnoxious. It was just kind of a day of letting go. I felt at the time that it was really risque–we didn’t care what anybody thought of us. We went downtown and we were in the park and we were just being rude. I think that in a way we were sort of taking control. CP:Did you think about the series as a means of changing the stereotypical image of First Nations peoples, particularly women, in photographs? SN:Yes, I think about that all the time. I get so tired of the ‘Native image’. You have this idea already in your head–a simply dressed person with a kind of sad look on their face–sort of a poster child. I get so sick of that. I’m really tired of the stereotype of Native people. I’m thinking of Conspiracy of Silence, the Betty Osborne story, and Where the Spirit Lives, about the residential schools, and that sort of thing. Although the stories need to be told and they need to be seen, as a native person I’m sick of being the victim and being looked at as this poor person who has been manipulated and abused and had all these terrible things done to them over the years. I think in one way its true, but lets get on with our lives. It’s making an assertive move and no longer being there –moving beyond all that. Part of it is just ignoring social good taste. CP: How did the Portraits series come about? SN: Portrait #l was done at the same time as Oka. I wanted to say something about being together as a Nation. 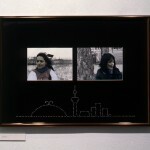 Portrait #l deals with the celebration and the circle effect of the Pow Wow–people going in one direction. It represents being in a group–you belong to a group–you don’t mind not being an individual. In Portrait #2, I wanted to show that as an individual you are struggling with which way to go –contemporary or traditional? You go back and forth. What values do you want? Do you want to stick to the old ways, or do you want to explore these other ways? CP:Is there a conclusion there for you? SN: The conclusion for me is that this is just the way it is. As a Native person, you’re always going to be going through that. For example, in In Her Lifetime the character starts out very happy and then she comes to the realization that things won’t change. At the same time, she can’t stay there, she has to come back again, like a wave. The images are mirrored with each other, so the piece takes on a wave form. I wanted it to look like a wave out on a lake–it goes out and comes back and goes out and comes back. CP: In Portrait’s #1 and #2, you considered the group and the individual respectively, what was your intention with Portrait #3? SN: Portrait #3 deals with the political side of Native life. I think even as kids you know that you’re born into this political life. You don’t ask for it but, its there nonetheless. From there I thought, it’s not all political, you still have to have a life as well, and part of that is family–Portrait #4is about that. CP:Do you feel that your work is a reaction to or against something, a political or culturally-specific statement? SN:I don’t start out saying “I’m an Indian, I’m going to do Indian work”. I start out thinking about myself as an individual and I start thinking about all these ideas and break them down to a point where it’s pretty simple, a pretty simple statement. Part of that statement is being Native and part of it is being a woman, and I stick within those boundaries because it simplifies what I am trying to express, and in turn the art does come out as being very Native and very Woman. Note 1. 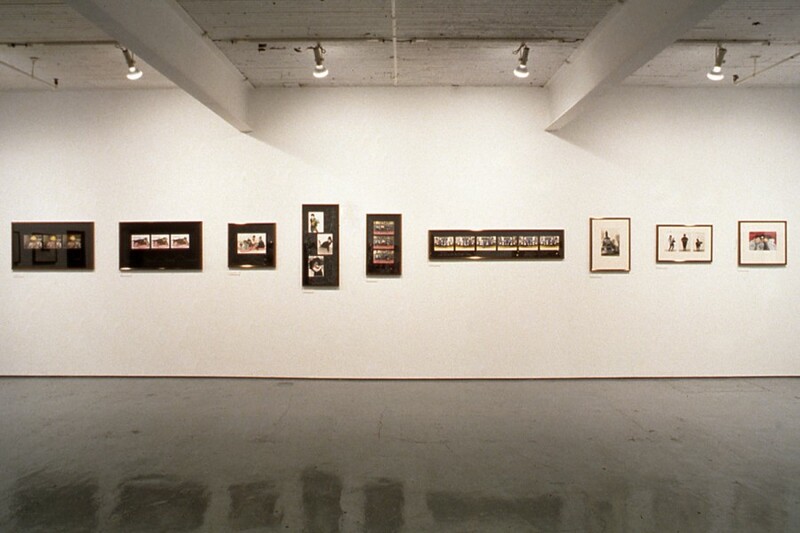 Shelley Niro: Mohawks in Beehives + Other Works, is the first of three solo exhibitions to follow Rethinking History, held at Mercer Union in March 1992. 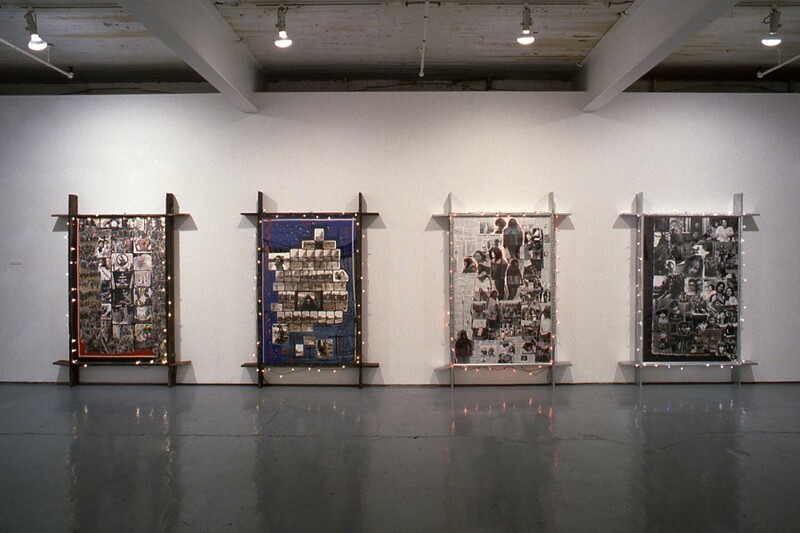 Featuring the work of John Abrams, Stephen Andrews, Robert Houle, Sara Leydon, Ed Poitras and Jane Ash Poitras, Rethinking History challenged the construction of History, providing a context for solo exhibitions of the work of Shelley Niro, Lance Belanger and Rebecca Belmore. Shelley Niro’s Mohawks In Beehive stakes a lighthearted and hard hitting photographic romp through first nations and feminist consciousness raising. 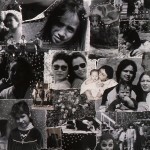 Ever since events at Oka shook this country in 1990, the Mohawk nation has held a symbolic spot at the heart of Canada’s native sovereignty struggle. But Niro’s slyly titled, hand-tinted photo sequence serves as a reminder that for all too long the Mohawk was synonymous with a hairdo and native issues are more than just a fashion statement. 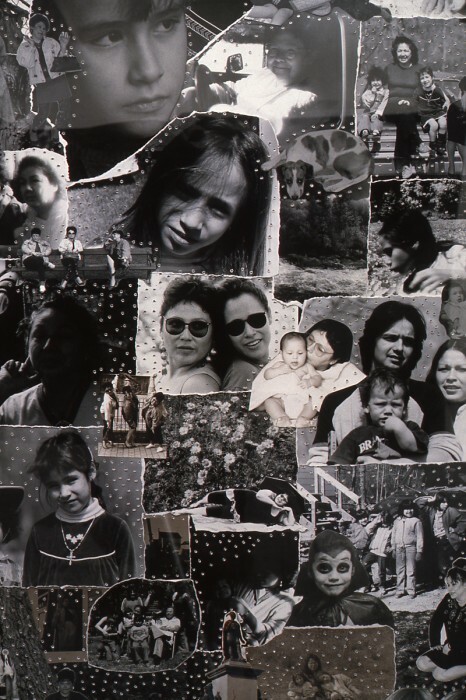 “I hate saying, ‘Oka, Oka, Oka,’ but it was such an emotionally potent time in history for a lot of native people,” says the Brantford based Mohawk photographer. The resulting images feature three bouffant-coiffed women lounging in glamour poses and kicking up their heels in front of the monument to Mohawk leader Joseph Brant, interspersed with images of women from Niro’s community in more banal settings. “People have a stereotypical idea of what native women are about. We’re portrayed in the movies as cardboard cutouts, and when you try to present a different image, people are disappointed. I want to blow that out. You don’t have to be what you think you have to be. 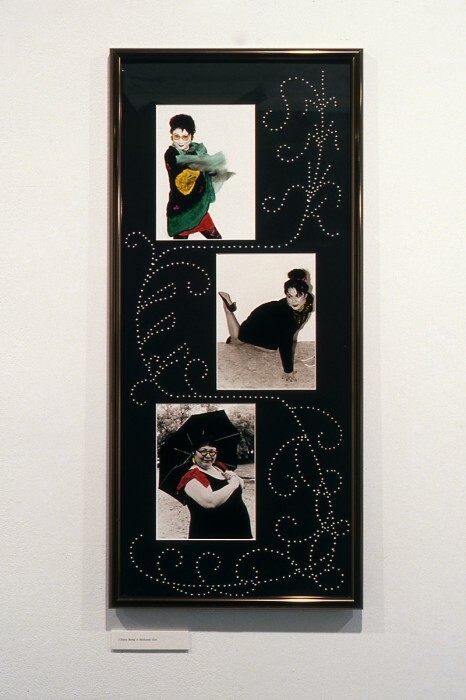 Mohawks In Beehives joins other, less spectacularly named but no less compelling works including In Her Lifetime, a narrative sequence of six images of one woman sitting in a boat, each inscribed with a handwritten thought caption. The central two panels summarize the artist’s personalized approach to native issues. As maturity set in, the text states, she became depressed over the fact that soap operas had no ending, country music reminded her of soggy cornflakes and she could never find the matching sock to the one in her hand… Native issues would never be resolved in her lifetime. “They show different aspects of the native personality, the native psyche. Initially, I wasn’t sure why I was doing them, but I’ve come to realize it’s a celebration of belonging to a group. “I start out by showing the different designs on the outfits people wear to pow wows. It takes a long time to put the beads on one at a time and make a beautiful pattern, and a person is like the single bead. When we come together, we become more significant than when we remain isolated. “By the fourth collage (which features newspaper clippings on first nations issues) I take on all the politics. As a native person, you don’t need to be overtly politically motivated, because it’s always there.